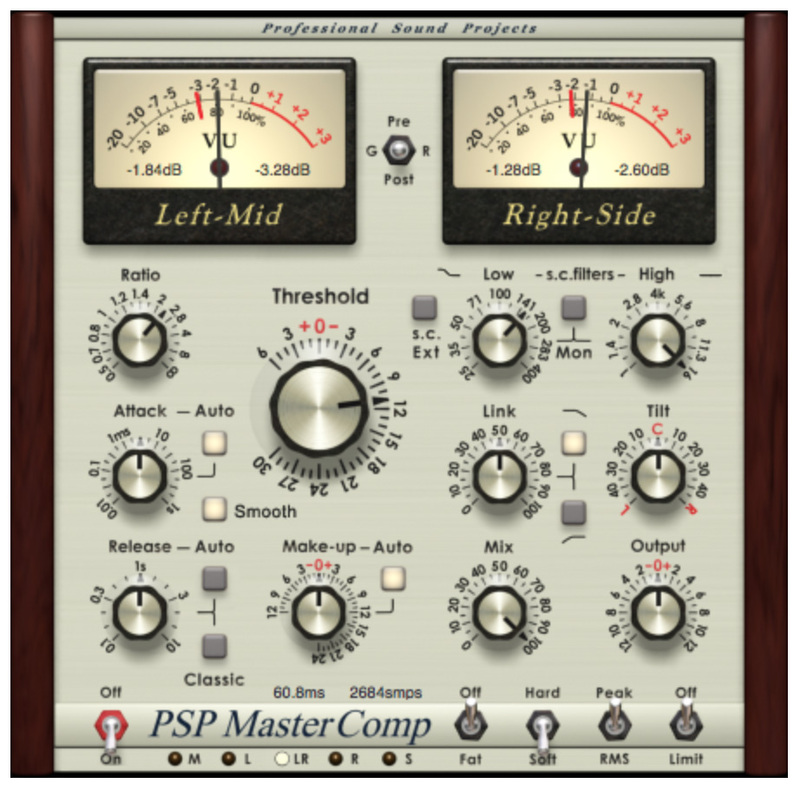 PSP MasterComp is a high fidelity stereo dynamics processor. Its double-precision (64-bit floating point) and double-sampled (FAT - Frequency Authentication Technique) processing offers transparency even at extreme compression settings and high sample rates. 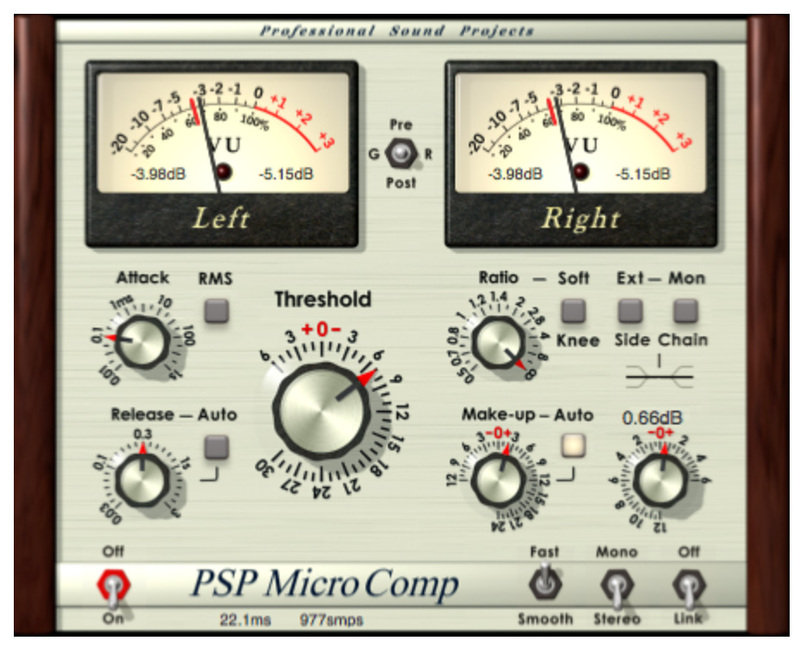 PSP MicroComp designed for using on buses and track processing during mixing. Simple and effective control layout. CPU efficient algorithm optimized for mixing purposes.